Animal Club offers a show for primary school. Make learning in your lessons meaningful and unforgettable with a visit from our friendly creatures. A fascinating, fun and interactive show for primary school, which takes the learners on a journey into the animal kingdom. A show for primary schools designed to fit neatly into the Science National Curriculum. 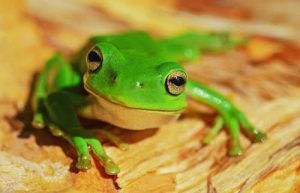 We cover topics such as habitats, mini-beasts, observations and vocabulary development. Primary aged children will learn amazing facts about our animals such as feeding needs, living habitats, where the animals come from and where they are on the food chain. 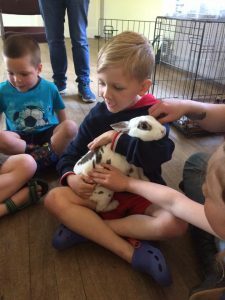 We include a wide range of animals in this session such as cuddly rabbits, unusual insects, huge snails and a mix of various reptiles. The children are free to decide if they just wish to observe the animals or actually touch them. Many children will overcome their fears once they see their peers touching animals and make that first step of holding an animal they have never held before! This primary school animal handling experience is extremely popular due to the children at this age being particularly curious and tactile. We find that many of the children are extremely keen to overcome any internal barriers they have towards certain animals. Their curiosity is incredible, we are asked many additional questions about each animal such as past history, feeding habits, country of origin and characteristics. We can adapt a show for primary schools for different ages and groups depending on need. It is also possible to include specific topics to match the subjects your class is working on. The overall aim is to show each person who encounters our animals that the animal kingdom is wonderful and intriguing and that there is so much to see and learn. The animals create a magical learning environment to begin a journey of loving the animal kingdom. Animal Club rangers live across the UK and we can check if Animal Club provides service in your area. We have a licence to operate and fully insured. You also get a copy of risk assessment and a letter to parents/carers template. All our rangers have DBS certificates, which they will provide on the data of the visit.